You’ll find rainbow-like colors in both cloud iridescence and coronas around the sun. But iridescence tends to look more random, while coronas are circles … usually. A distorted corona, caught by Star Cammy on a mid-afternoon in late February over Hong Kong, China. The sun is bright and on the left. The green ball on the right is a camera artifact – an internal reflection from the camera – known as a lens flare. On February 27, 2018, Star Cammy on Facebook posted this this photo. 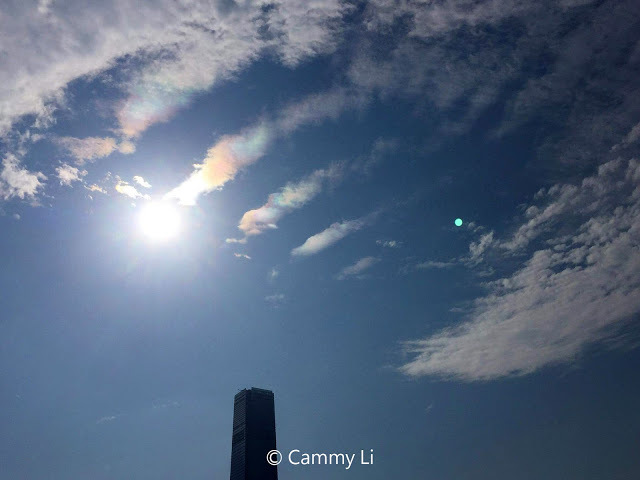 Immediately, her friends began buzzing about whether the photo showed random cloud iridescence or a fragment of a circular corona around the sun. In fact, the cloud iridescence and coronas are related, both caused by the diffraction of light by tiny water droplets (sometimes small ice crystals) in clouds. 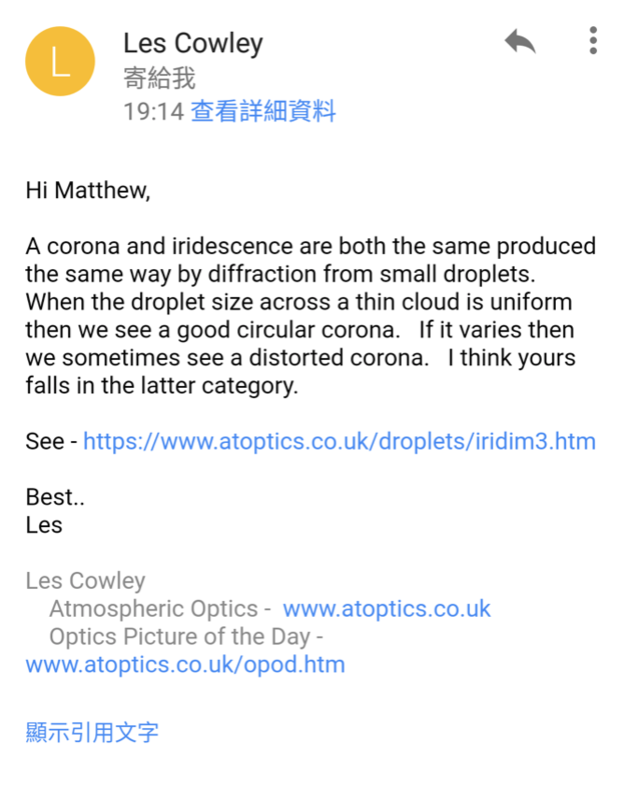 Matthew Chin, a friend of Cammy’s in Hong Kong and also a friend of EarthSky’s, solved the mystery by writing to sky optics guru Les Cowley about Cammy’s photo. Les, who runs the amazing website Atmospheric Optics, called it a distorted corona around the sun, produced by a non-uniformity in the size of the water droplets that are creating the rainbow-like colors. Les’ response is below. 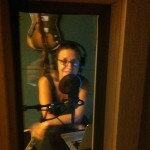 You can also check out Matthew’s blog about this photo (if you can read Chinese). Bottom line: A photo of a distorted corona around the sun, captured over Hong Kong in February 2018.